Are you serious about this 70% discount from JustCloud? Or it just a hook to get more customer? Well, I can 100% assure you that this is NO gimmick and are very certain that you can get yourself this 70% discount from JustCloud pricing. This is no secret and I’m going to show you how. This is like almost getting yourself a free cloud storage service online for less than $2 per month! I bet you can’t find this offer elsewhere. Most of other cloud storage providers offering in the range of $10 to $20 per month. Dropbox is charging $10 per month for 100 GB storage capacity for instance. 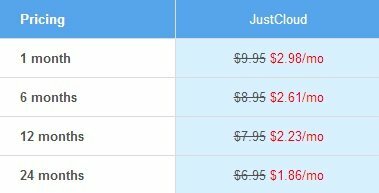 How To Get The Discount Pricing From JustCloud? Simple. You just need to do 2 things here. Don’t worry as I’ll explain in details for these 2 steps above. Read my review here to see if JustCloud suits your need and come back to this page later on. I want my reader to know what they are getting and paying beforehand. Do utilize my experience for your own benefit. Next, sign up a free account with JustCloud. They should require only your Name, Email Address and your chosen password. There’s no credit card to confirm at this stage. However, please make sure you give them a valid email address because they would send you the link to download the JustCloud software later on and also the link to your exclusive 70% discount. You’ll get a 14 days free trial period along with your sign up. During this period, JustCloud will send you email asking how your encounter with their software and so on. In the mean time, they will offer you some discount if you have not become one of their paying customer. This is where the tricks come from. You shall wait for the maximum discount that JustCloud can offer to you. But how am I suppose to know what’s the maximum discount I’ll be getting? That’s when a head up like this comes in handy for you. I had tried out and join JustCloud and I can tell you that the maximum you’ll be getting is 70%. There nothing more to offer after that. You shall be getting a 50% discount on the 4th or 5th emails (total got 10-11 emails). My advice is do not bite onto the bait yet. 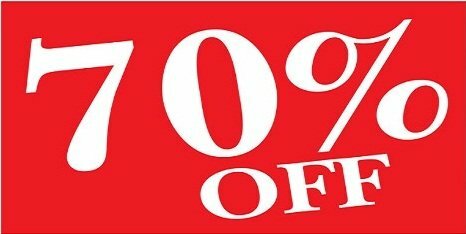 On the 7th email if not mistaken, you’ll be offer a 70% discount off from the normal JustCloud pricing plan. Well, if you plan to get the service from JustCloud, then I would highly suggest you to take the offer here. How Much Is The Saving From This Discount? JustCloud offering 3 cloud storage and backup plans for consumer. The one I’m reviewing and using is the Premium Plan. So, in normal rate you will need to pay $9.95 per month if you opt for a month to month basis. If you are paying 2 years upfront, then the price will reduce to $6.95 per month. Conclusion: Does JustCloud Worth For My Money? I’ll definitely say worth the shot. You can do the math for yourself too. The cheapest cloud provider on the web charges you around $60 per year.You still have to compare the specs and features they are offering. Normally with that rate, you will be getting a very basic backup plan. For JustCloud, you only pay less than $2 per month. One year would be around $23. There is a huge difference here that I would take for my own gain. Why not pay less for the same (better) thing. Did you know that JustCloud is offering 14 days free trial?